We have flex space for warehousing and office space that fits your needs. After years of providing quality and affordable storage services, Liberty Self Storage now offers flex-space for your specific warehousing and office space needs. Whether you are starting or growing a business Liberty Self Storage Flex-Warehouse has offices that offer practical and convenient business solutions for almost every work environment. Warehouse and office space in one convenient commercially zoned location: the perfect solution for you and your business. We have spaces from 5,500 sq ft to 30,400 sq ft, with additional secured outdoor spaces for motor vehicle and marine vessel storage. 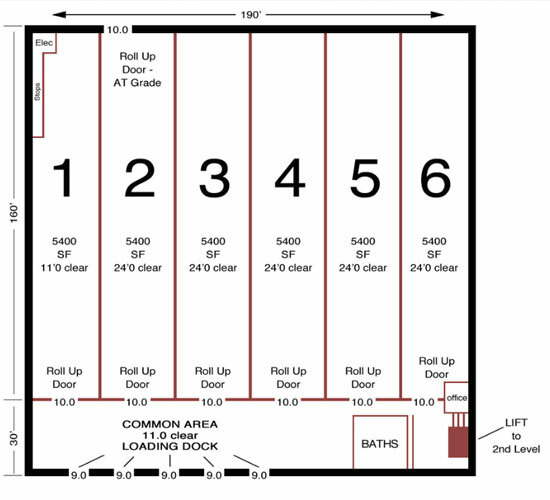 Our loading berths are built to accommodate large vehicles and ease loading of your valuables. Come and tour our facility and a specialist will help you find the right solution for your business space needs. Warehouse and office space in one convenient commercially zoned location: the perfect solution for you and your business.